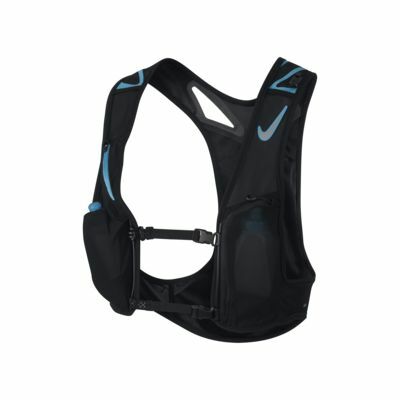 The Nike Trail Kiger Running Vest features mesh panels and adjustable straps for a lightweight, comfortable frame. A sizable main compartment can store an additional hydration bladder or other trail essentials. Materials: Body: 84% nylon/16% polyester. Lining: 56% polyester/44% nylon. Bottle: 79% low density polyethylene/13% polypropylene/8% TPE. Note: I'm reviewing the first version on this vest, this seems to be an update. 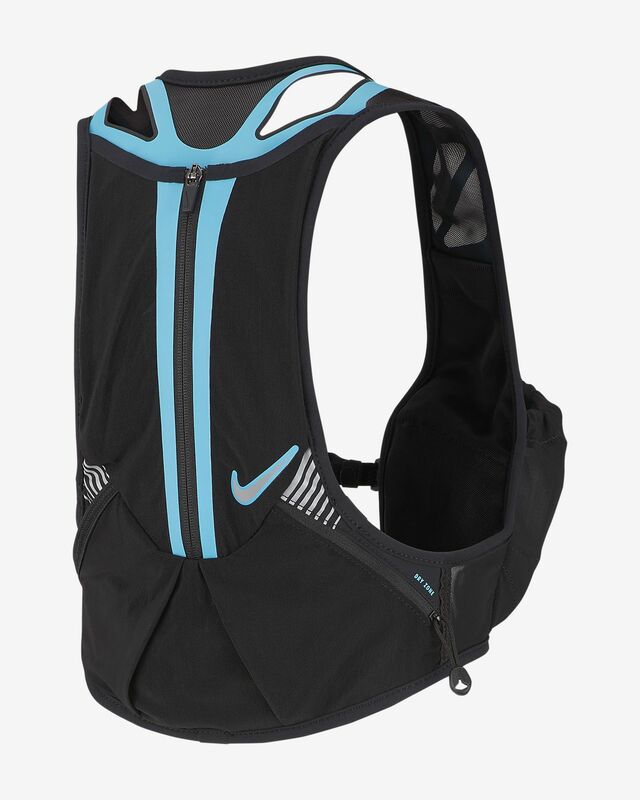 I took a risk and bought this due to being a Nike fan over a UD or other vest used by other ultra runners. Good first attempt, but not quite there. 1. Doesn't come with a bladder, so that's an additional cost. No bladder fits really well (that I found), so would be good to have one included 2. I've had this @18 months, but don't do many runs requiring the bladder - if it's been 36 that's the most it could have been, but already a clip to hold the bladder broke, and elastic is fraying.